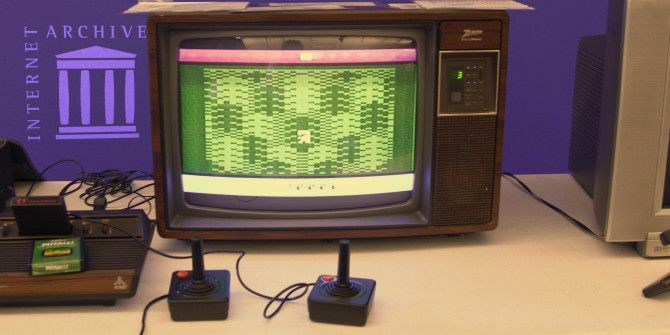 Internet Archive Lets You Play Retro Games With The "Console Living Room"
The Internet Archive now lets you play all your favourite retro console games. It is expanding the Historical Software Collection to include a new section called the Console Living Room, which is a collection of console games that you can run in your browser, from the Atari 2600, Atari 7800 ProSystem, ColecoVision, Magnavox Odyssey, Astrocade, and the SG-1000 (Sega). 80s kids grew up in the era of the Atari, and the Commodore 64, consoles that played a variety of now-classic games on the regular TV set. Games that took 10 minutes to load, via a cassette. Obviously now, with the advent of games consoles such as the Xbox and the Playstation, consoles from 30 years cannot possibly compete, and so they have faded from existence, only to be remembered and loved by a specific group of fans. Unfortunately these emulations do not contain any sound at the moment, but apparently that is “coming soon”. Games include the immortal Pac-Man (which I wasted over 2 hours of my day playing), Astro Pinball, Mario Bros, Ninja Golf, and Donkey Kong. Obviously as time goes on, the games selection will expand considerably, but until then, Pac-Man and Mario Bros should keep you more than busy. Let us know in the comments if any of these games bring back fond memories for you. Did you find anything in the archive that you enjoyed playing when you were younger? Or was your favourite game not there? If so, tell us what it is. Explore more about: Atari, Online Games. How DARE you call the Commodore 64 a "console"??!? That was a workhorse computer! I went thru 2 of them and finally sold my third, a C64C, to be able to move on to my first PC-Compatible. Thanks for listing post , we'll never get to see these type of old technology. Another PCWORLD Forums User Convinced Me To Browse ARCHIVE.ORG, Once More. Glad She Did, Because WOLFENSTEIN 3D Has Sound, And I Had Not Played It For Nearly 20 Years. Thank You, Both, So Much ! Don't really need this when there's a thing called emulators that have been around for many years. While it is neat that you can do that, I prefer emulators that have both sound and saving capabilities.